After broadband access, what next? What role do metrics play in understanding "information societies"? And, more important, in shaping their policies? Beyond counting people with broadband access, how can economic and social metrics inform broadband policies, help evaluate their outcomes, and create useful models for achieving national goals? This timely volume not only examines the traditional questions about broadband, like availability and access, but also explores and evaluates new metrics more applicable to the evolving technologies of information access. 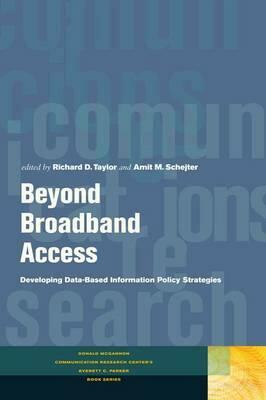 Beyond Broadband Access brings together a stellar array of media policy scholars from a wide range of disciplines-economics, law, policy studies, computer science, information science, and communications studies. Importantly, it provides a well-rounded, international perspective on theoretical approaches to databased communications policymaking in the Americas, Europe, Asia, and Africa. Showcasing a diversity of approaches, this invaluable collection helps to meet myriad challenges to improving the foundations for communications policy development.